Posted December 20, 2018 by Karen Jones & filed under Centre News. I would like to wish everyone a Merry Christmas. Recommended donation rates for next year will remain the same. New Membership forms will be sent around soon for the 2019 membership year. I hope you all enjoy Christmas and wishing you a good New Year. Posted December 14, 2018 by Karen Jones & filed under Centre News. Friday 21st December – bring some food in to share from 12.15. Posted December 11, 2018 by Karen Jones & filed under Centre News. Unwanted DVD’s? If you have any you don’t want anymore can you bring in and we can make a bit of money from them. Posted December 7, 2018 by Jon & filed under Centre News. Posted November 22, 2018 by Karen Jones & filed under Centre News. Sue Barnden Community MS Specialist Nurse is getting back into swing of things after being off work; reviewing appointments scheduling and frequency of follow up. o OCE all day Wednesday fourth Monday in month may increase this to include another day. o Abingdon third Monday in afternoon starting today 19th November. o Banbury fourth Thursday in month afternoon starting January 2018. Posted November 13, 2018 by Karen Jones & filed under Centre News. Tickets £10 includes interval refreshments. Many thanks to Patricia Sadler, our Osteopath. The Government has changed the law to make cannabis for medicinal use legal under prescription. Posted November 6, 2018 by Karen Jones & filed under MS News. 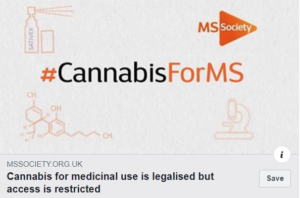 Source MS Society: The Government has today changed the law to make cannabis for medicinal use legal under prescription. 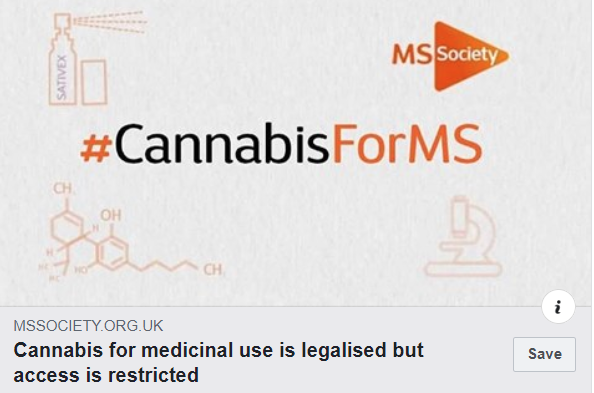 But it’s likely that nothing will change in the short term for the one in 10 people with MS who could get relief from pain and muscle spasms by using medicinal cannabis. We’re calling for the interim guidance on prescribing medicinal cannabis to be urgently reviewed so that access to the treatment isn’t so heavily restricted. Read on. 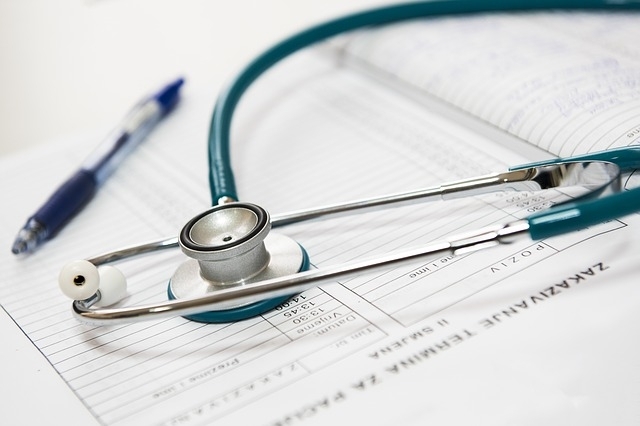 Source MS Trust: NICE has announced that it is pausing the publication of final guidance for ocrelizumab for primary progressive multiple sclerosis. The final decision was due to be published on the NICE website on 31 October and would have rejected ocrelizumab as an NHS treatment for primary progressive MS on the grounds of cost-effectiveness. The MS Trust now understands that this final decision has been postponed(link is external) while further discussions take place between the drug company and NHS England. We welcome this move as it demonstrates a willingness on both sides to engage further in the debate around this drug which could have a substantial impact on the lives of people with primary progressive MS. Read on. Posted November 3, 2018 by Karen Jones & filed under Centre News. Join our 100 club for a share of the 100 prize fund every month, speak to Sue or Reception for details, just £5 a month.